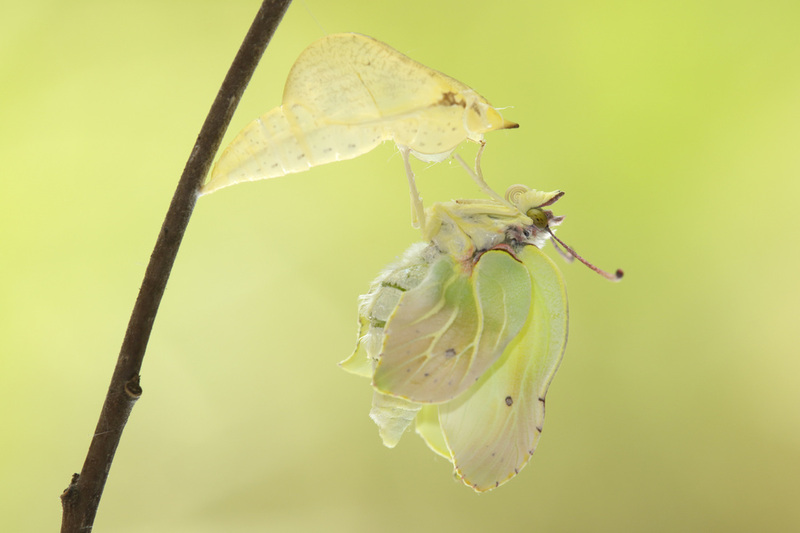 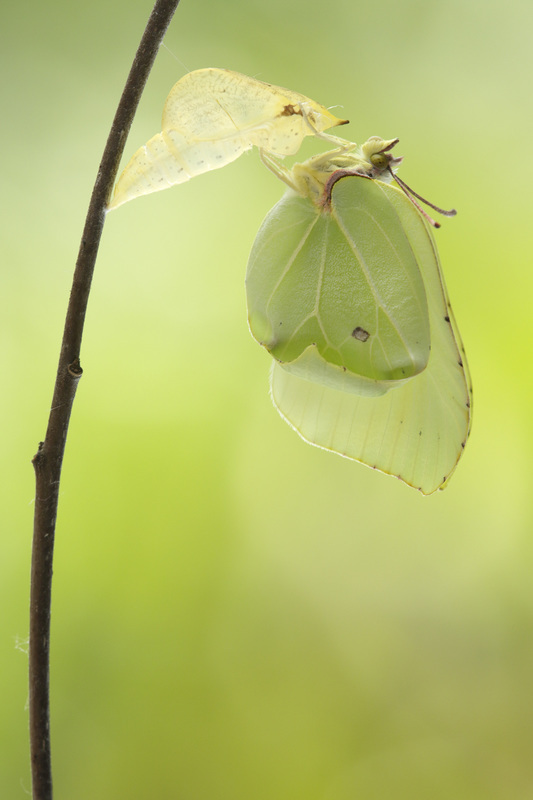 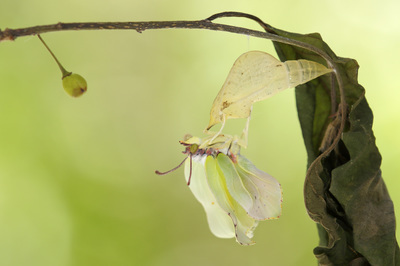 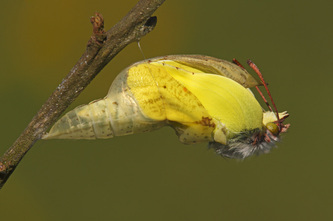 They are among the first butterflies after wintertime and with a total lifespan of about a year they are the longest-lived of all adult butterflies. 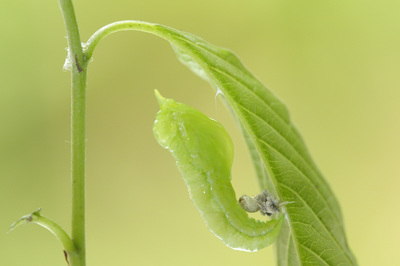 The larval foodplants are various Rhamnus species. A few years ago I planted in early spring some foodsplants and a few weeks later I saw the first eggs. 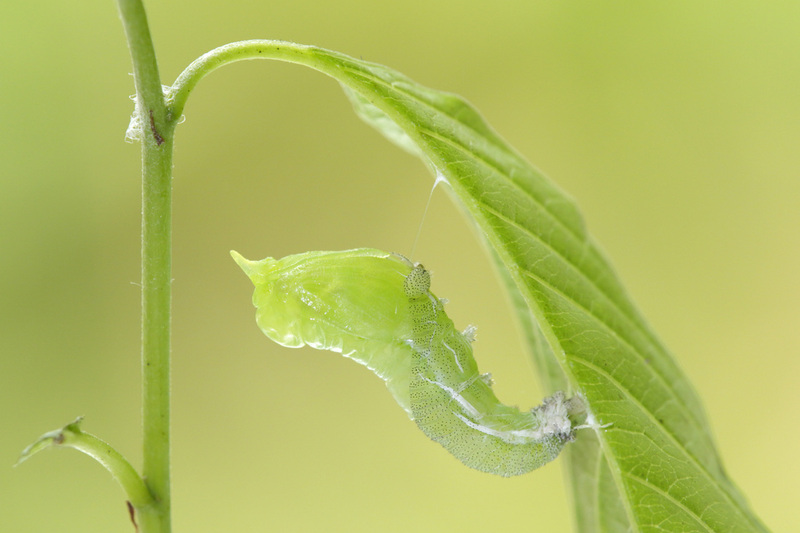 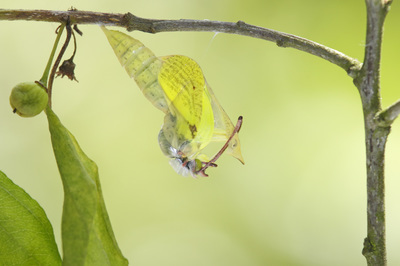 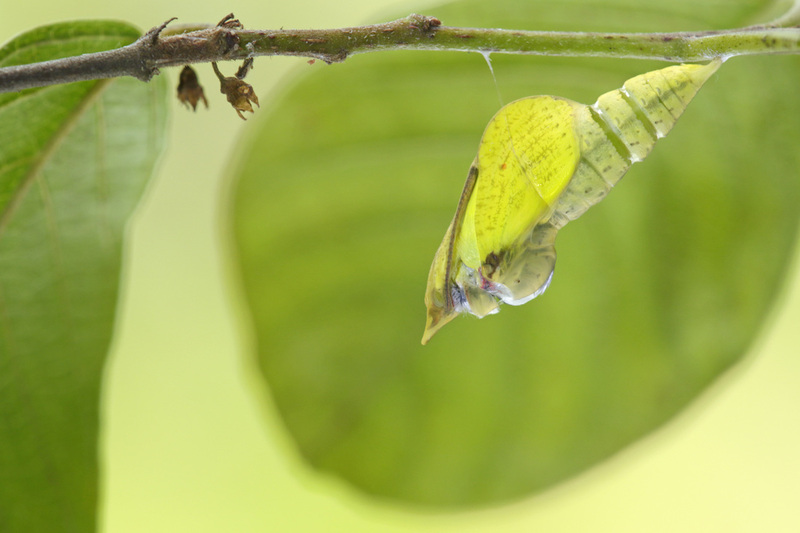 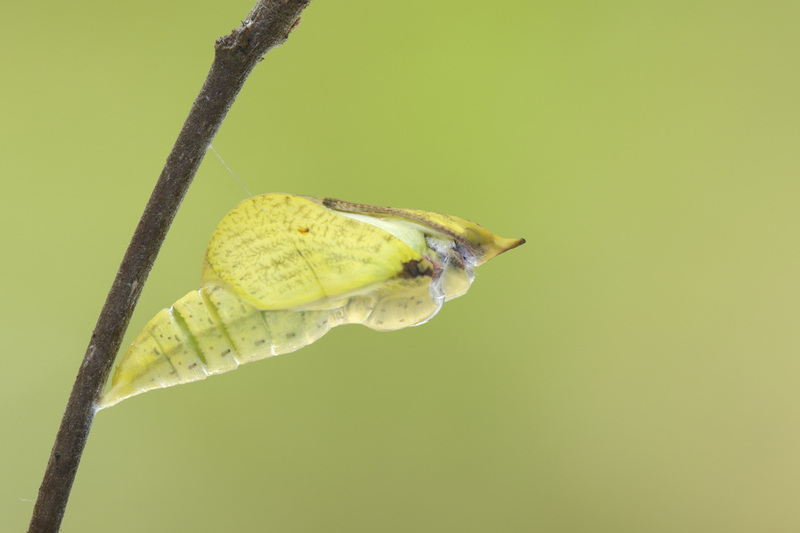 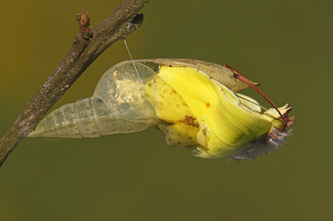 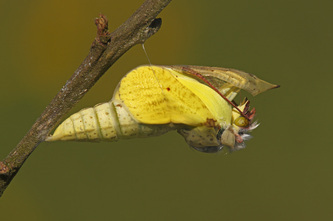 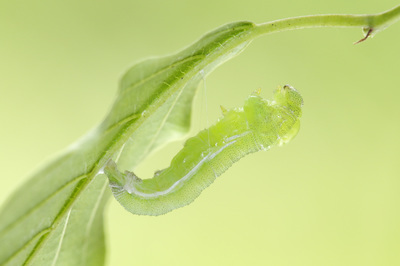 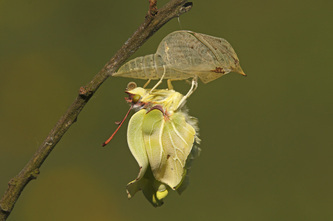 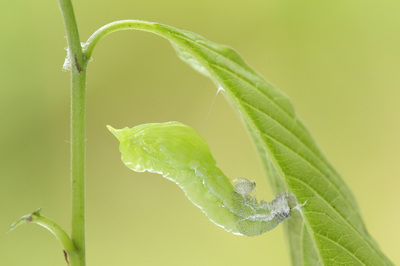 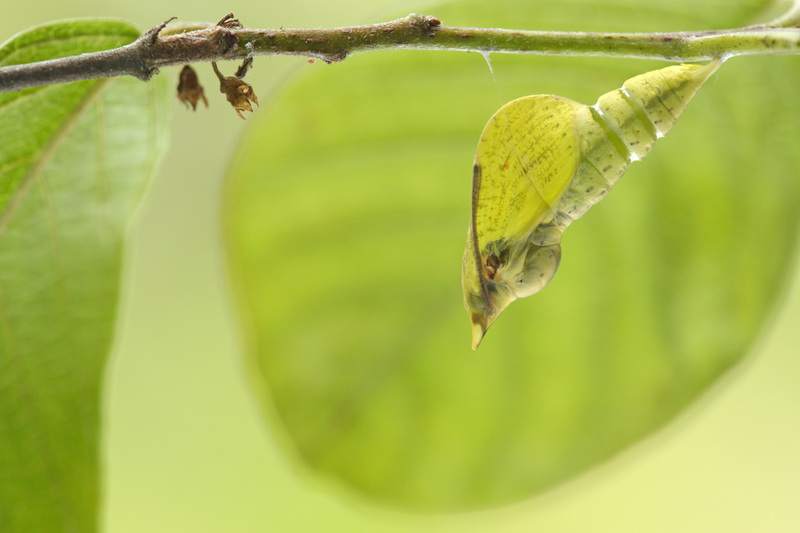 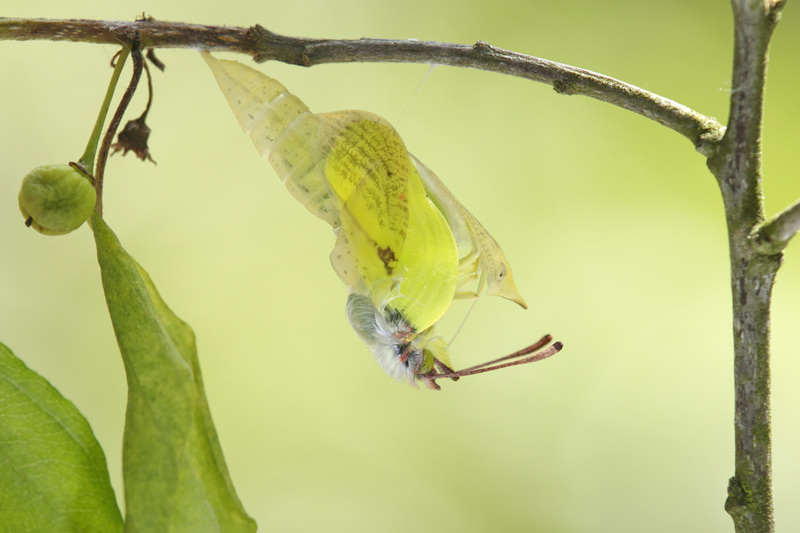 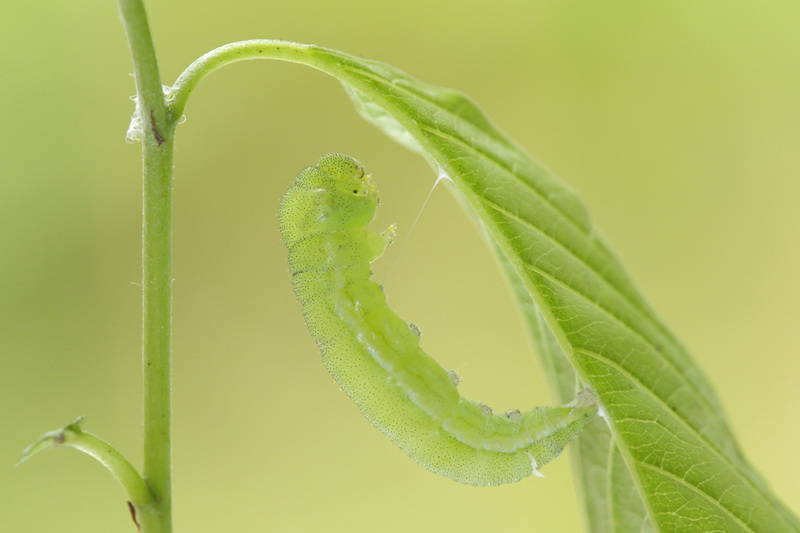 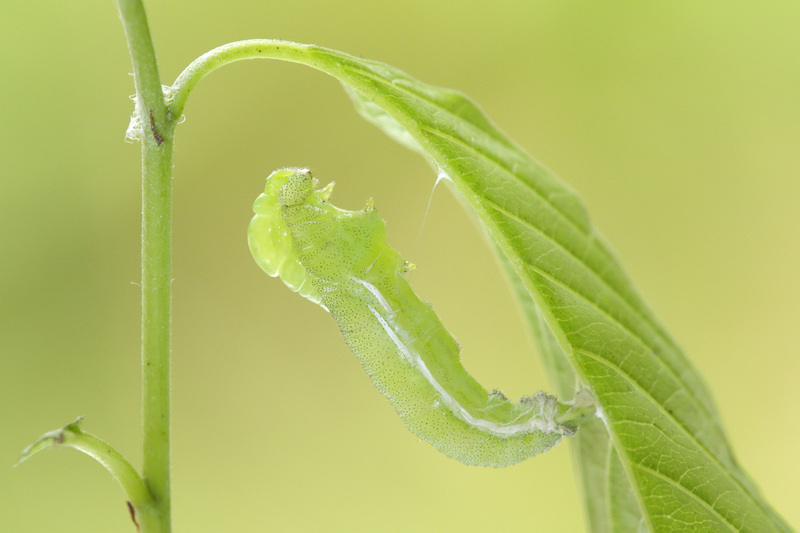 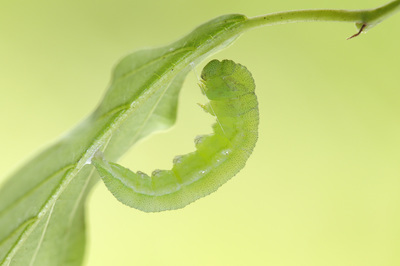 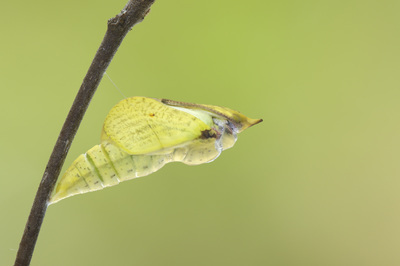 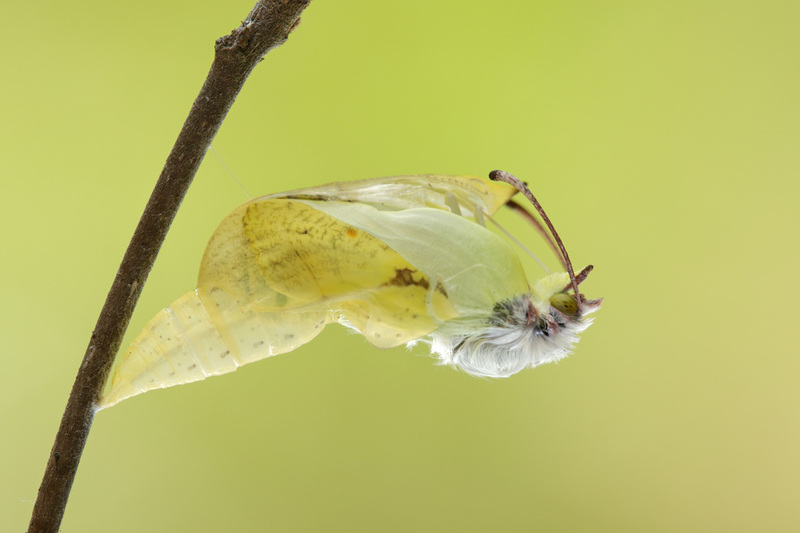 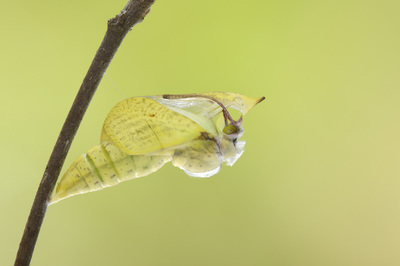 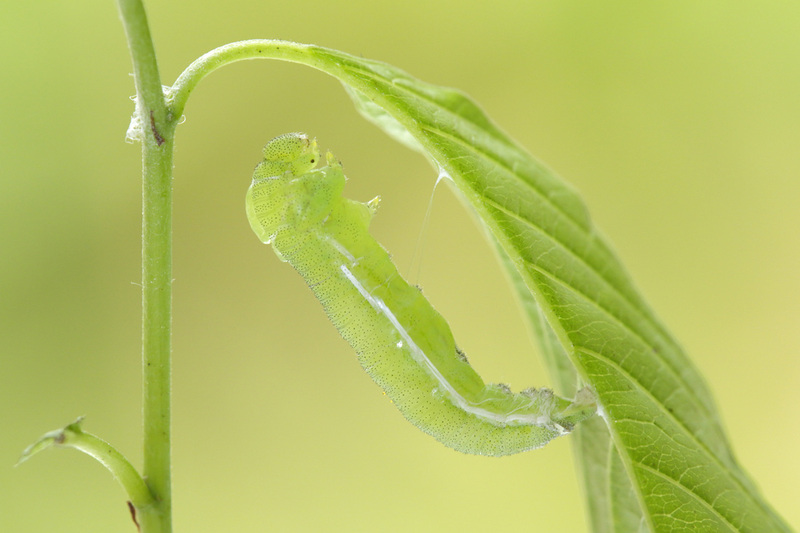 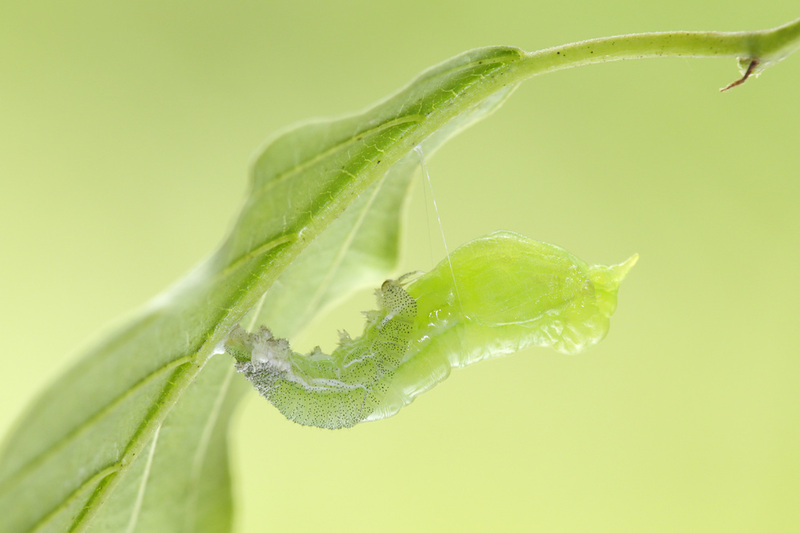 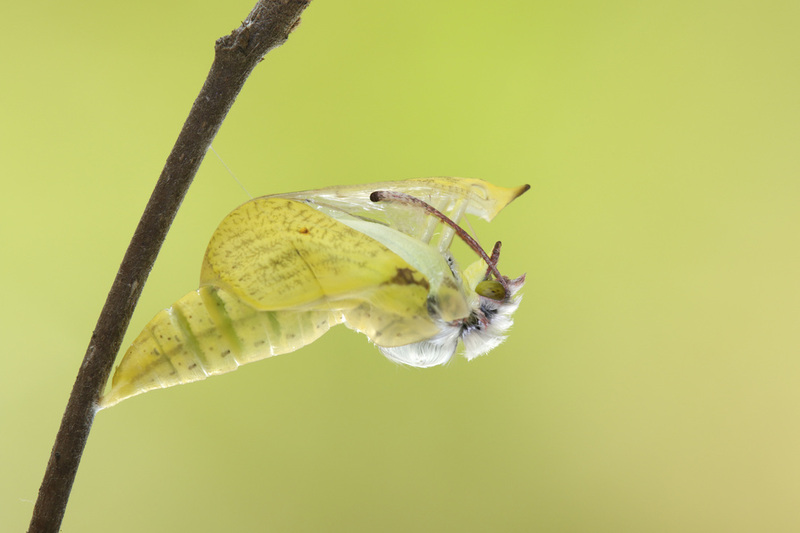 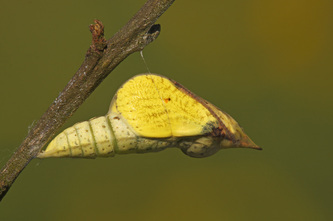 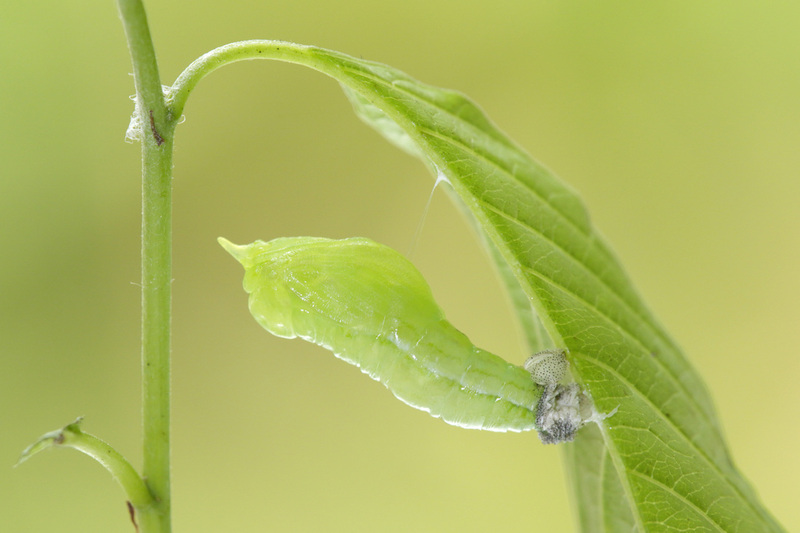 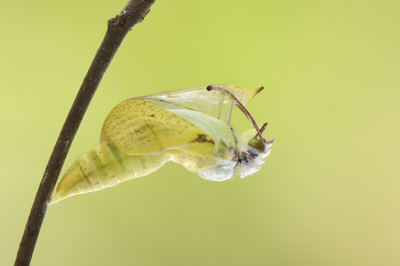 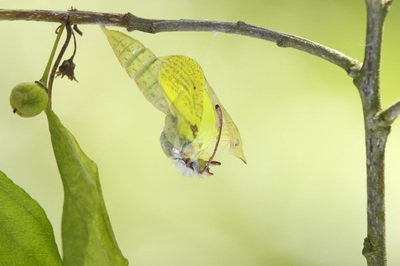 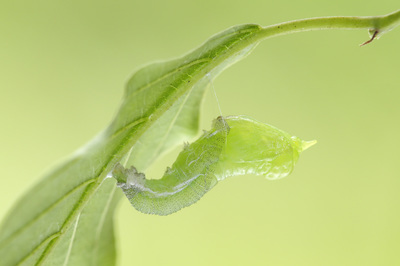 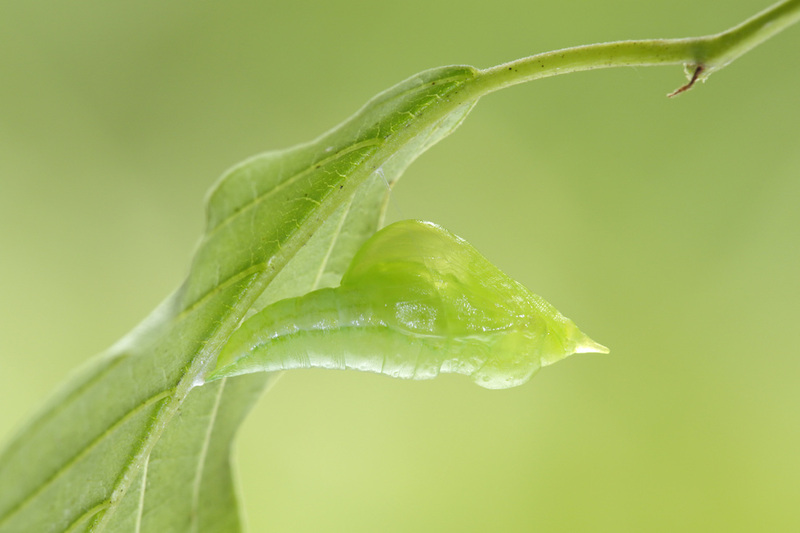 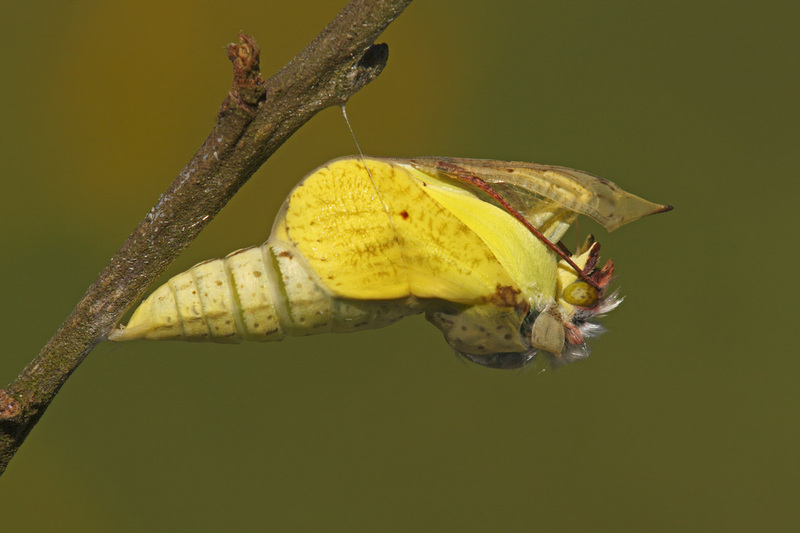 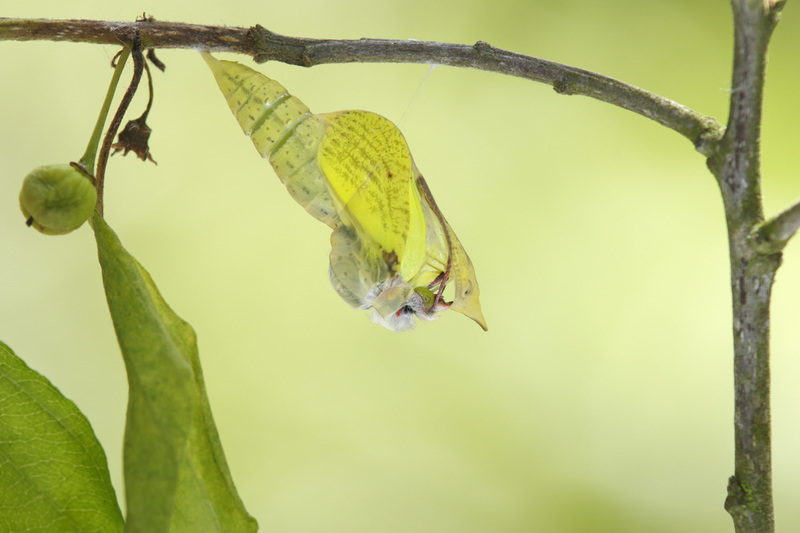 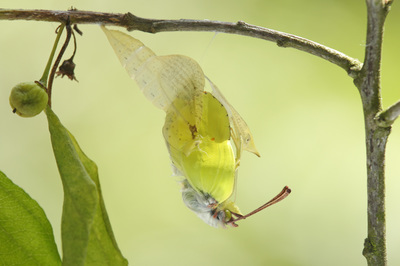 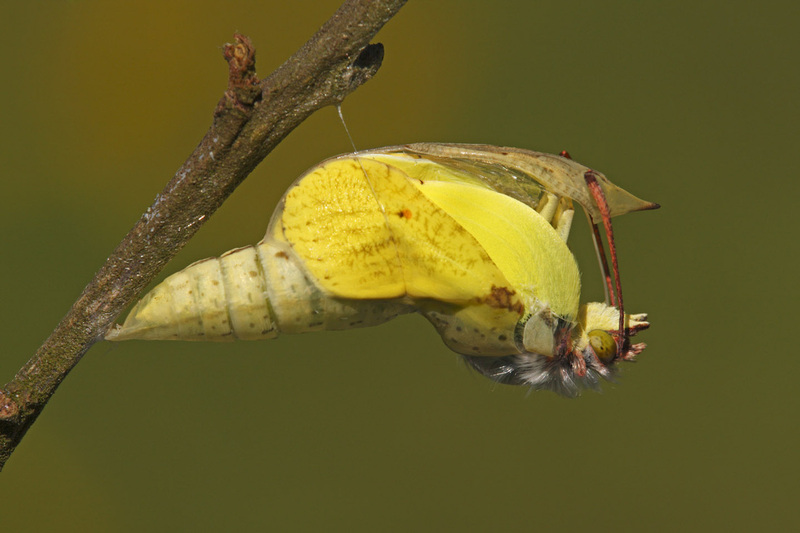 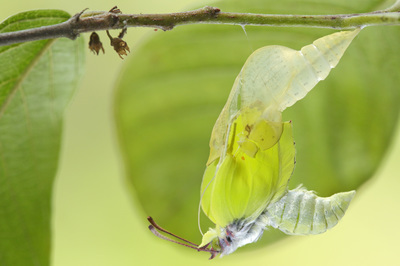 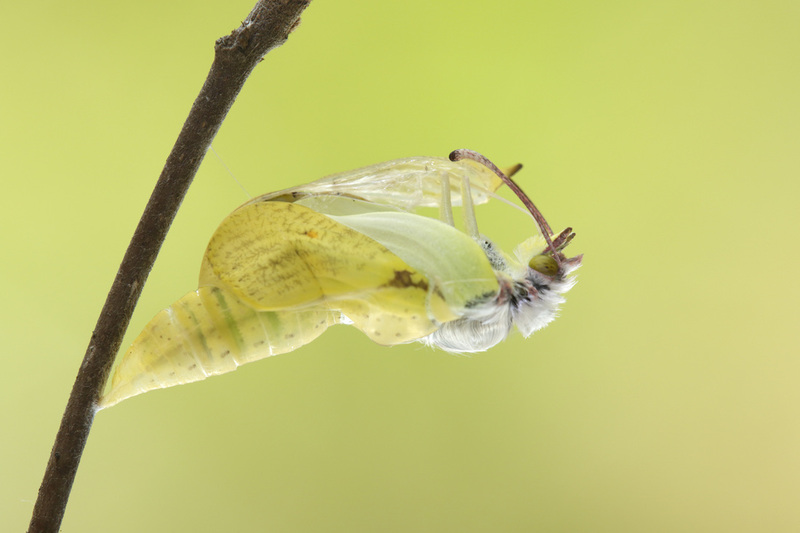 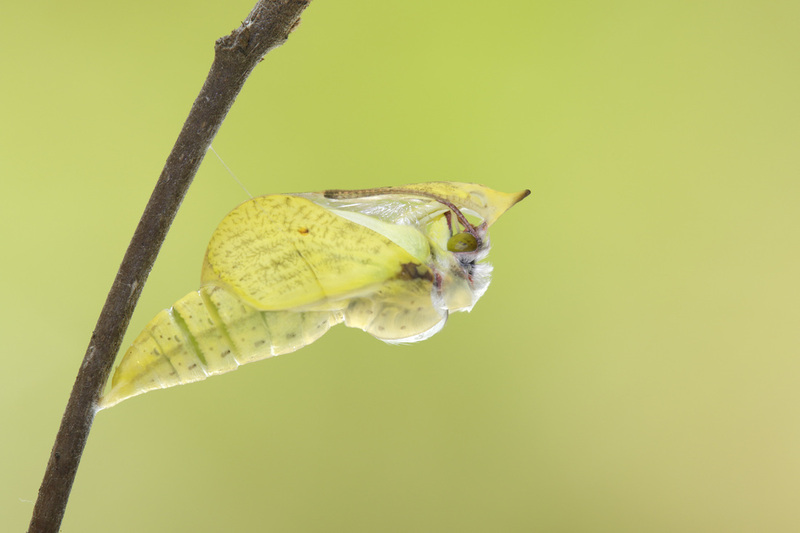 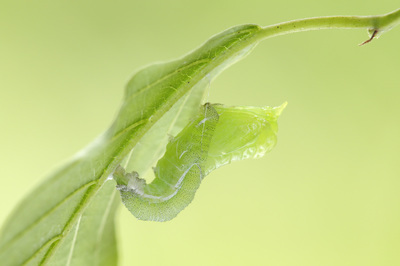 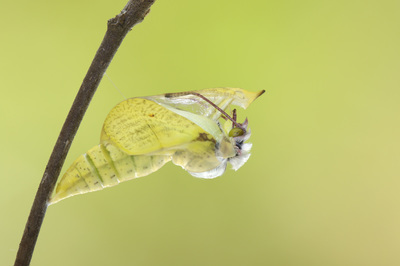 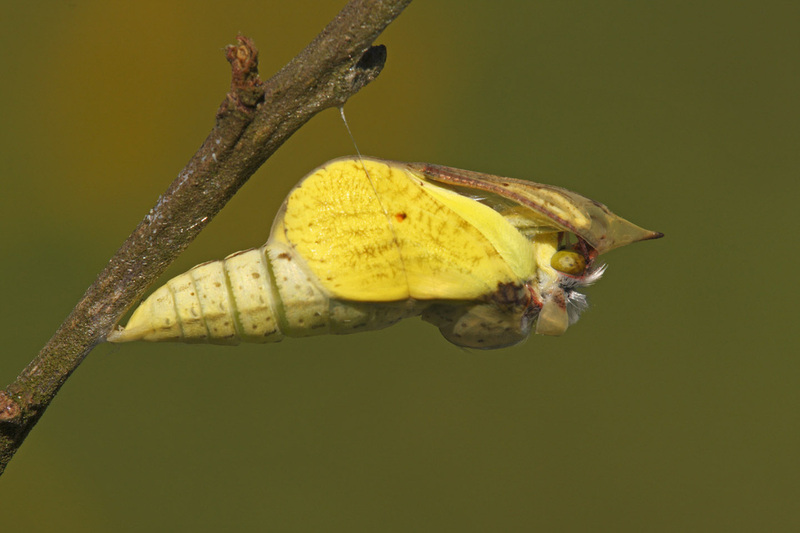 The caterpillar is bluish green with a narrow pale stripe along each side. 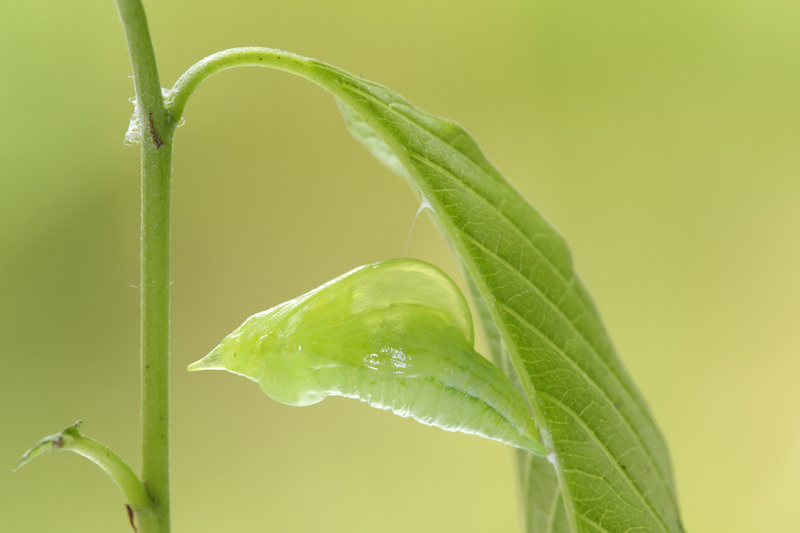 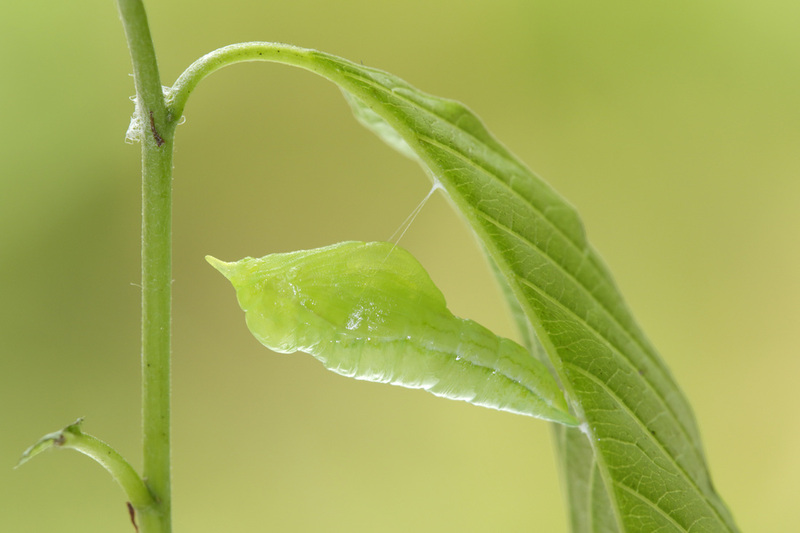 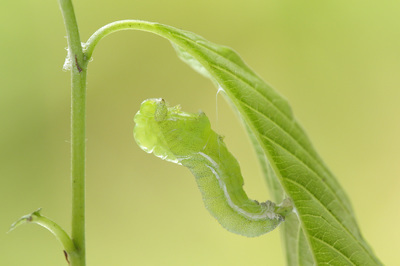 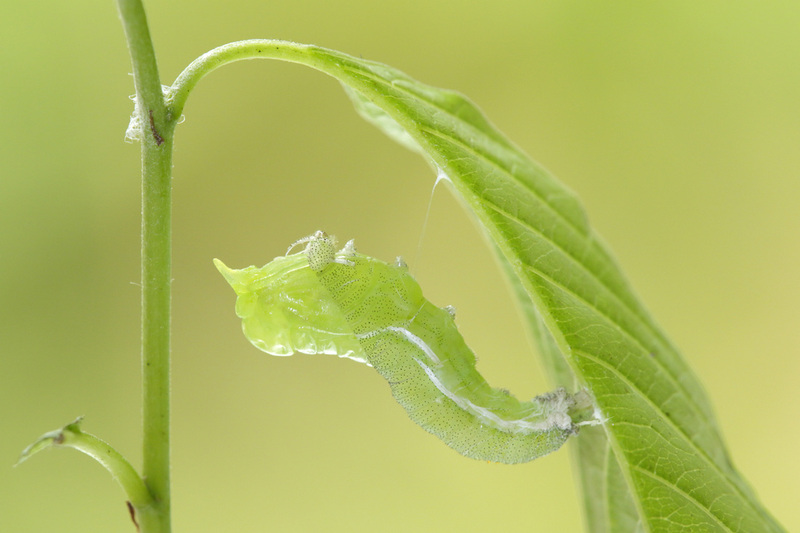 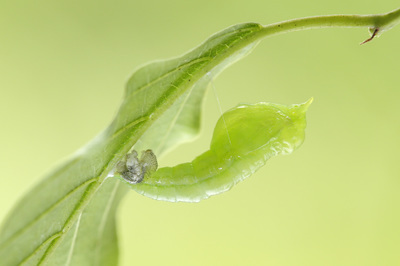 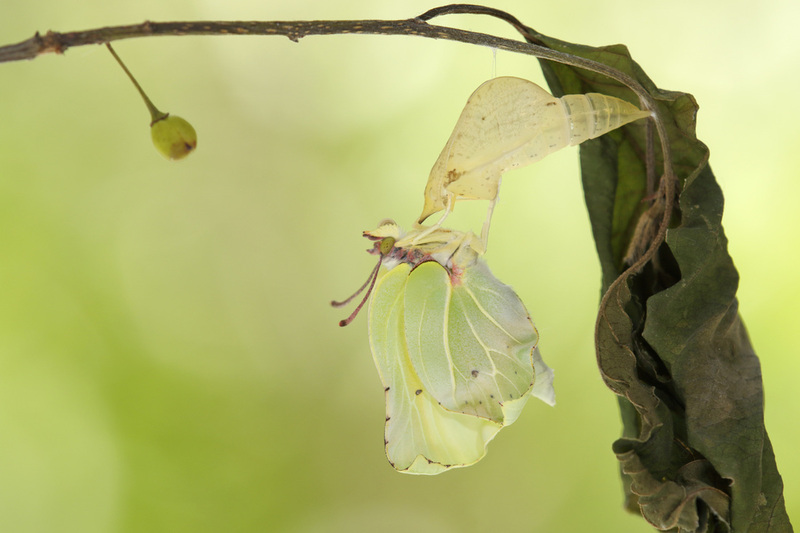 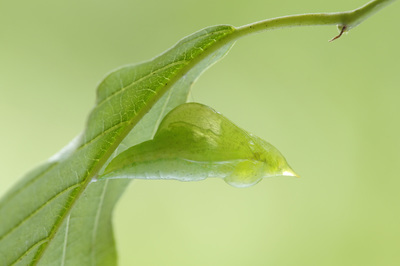 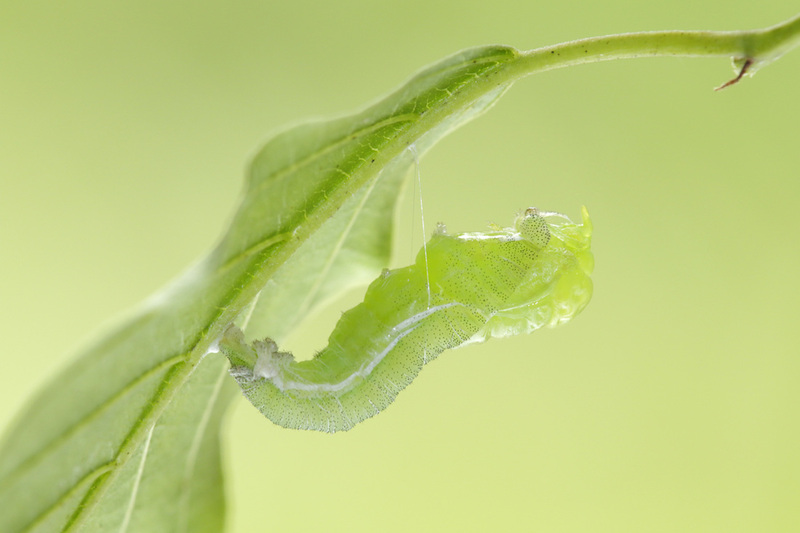 It is beautifully camouflaged on the foliage, although young caterpillars are quite easy to find as they attach the upper surfaces of the leaves an chew out conspicuous small holes. 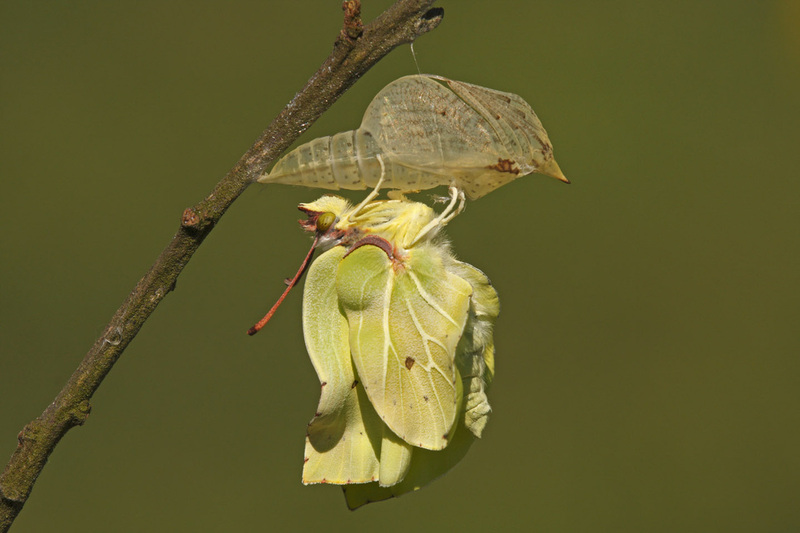 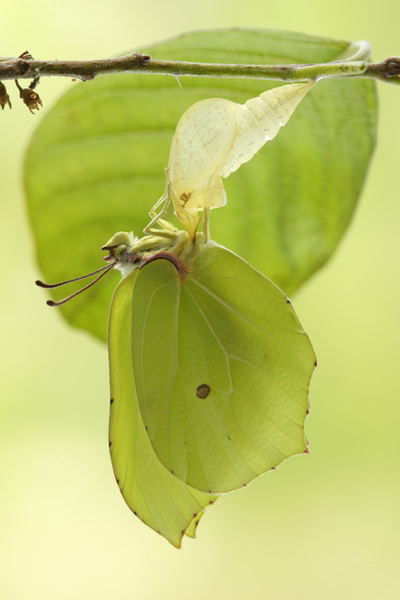 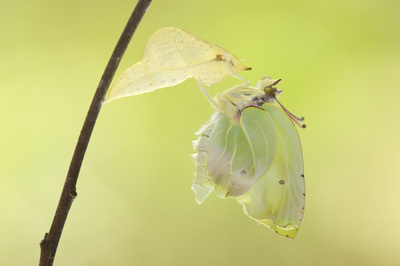 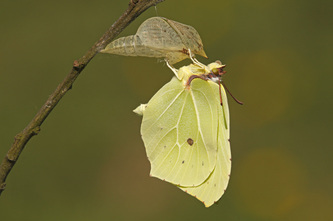 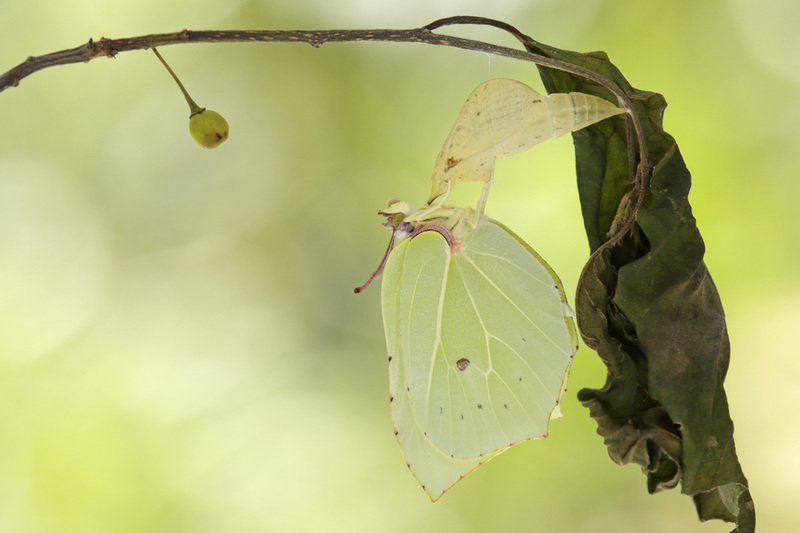 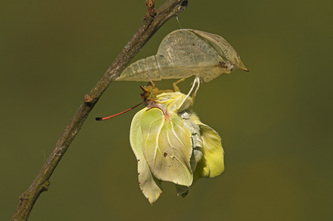 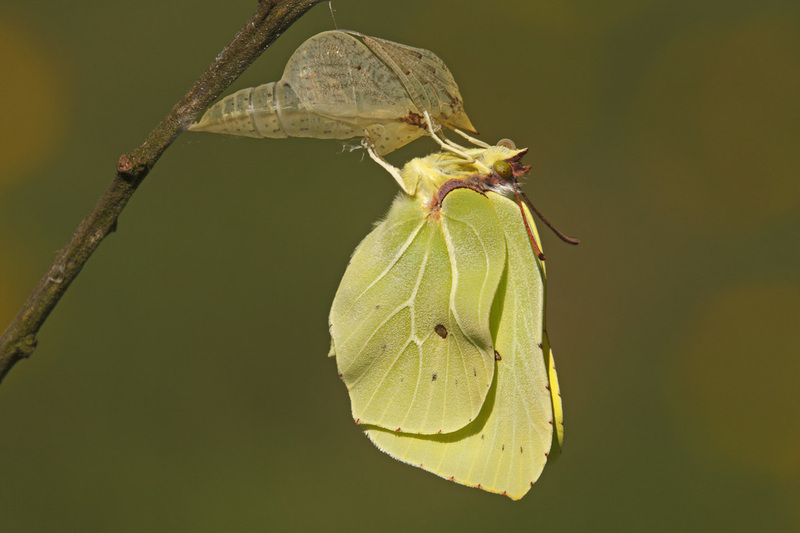 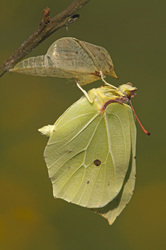 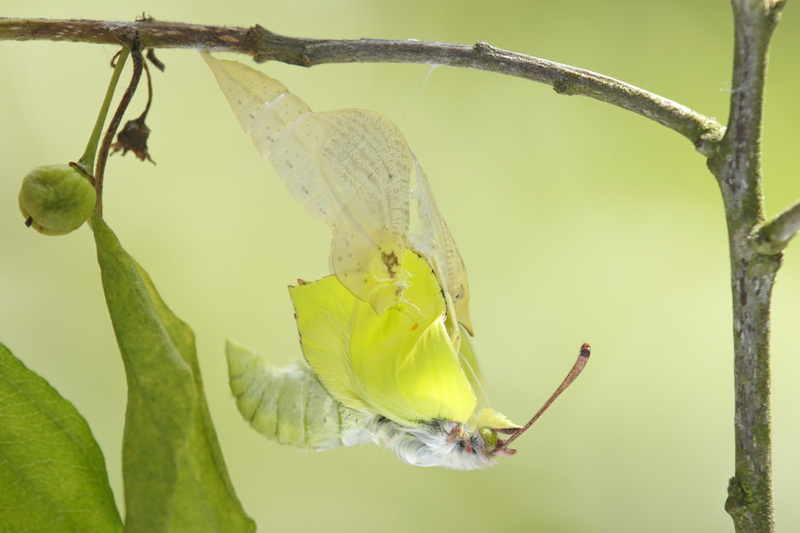 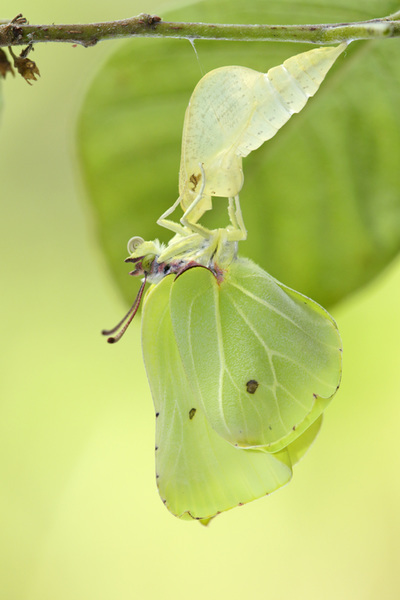 For photos of the other stages please link to my 'regular' page about the Brimstone (Butterfly Gallery -> Pieridae).